Relaxing over the long weekend? Perhaps you’re prepping the team for the return to school on Monday, or coming back from a weeklong break – you’re one of the thinkers that managed to turn Easter and ANZAC Day into a longer break. If you’re planning a trip to Garfish, we’ve got some great specials planned. There’s one group of people that haven’t been taking a break and that’s the chefs and kitchen team at Garfish! 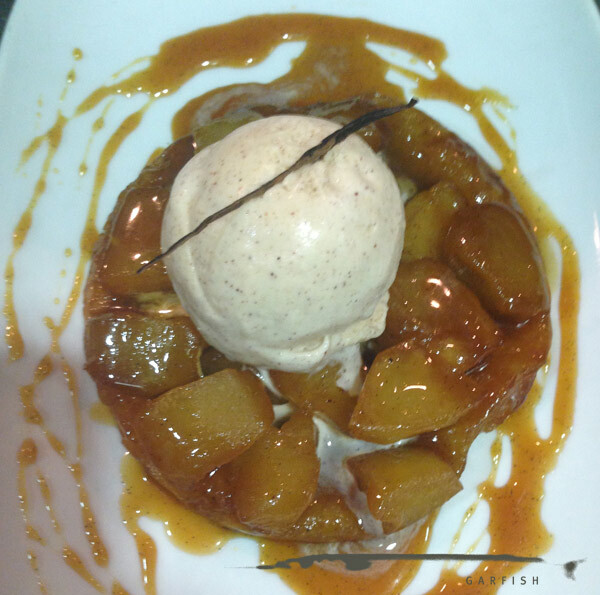 There’s no shortage of desserts! 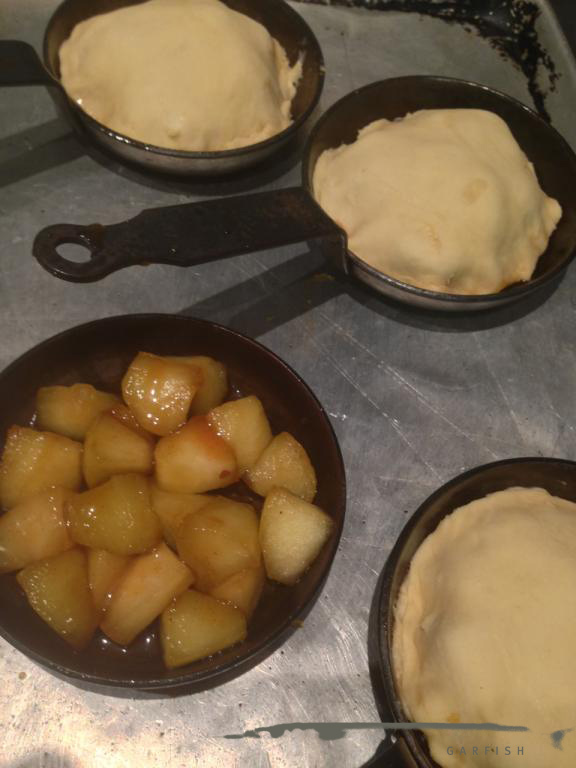 Micheal, Head Chef in Manly when asked today, “What’s special over the weekend?” – he replied with this pair of photos; a before and after shot of his apple tarte tatin. 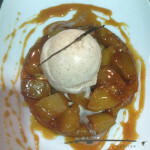 With the weather looking a bit touch and go, this winter warmer will be a popular option: Spiced apple tarte tatin with salted caramel sauce and cinnamon ice cream. Available in Manly today and over the long weekend. You want to see them bigger don’t you? Click to view larger photos! 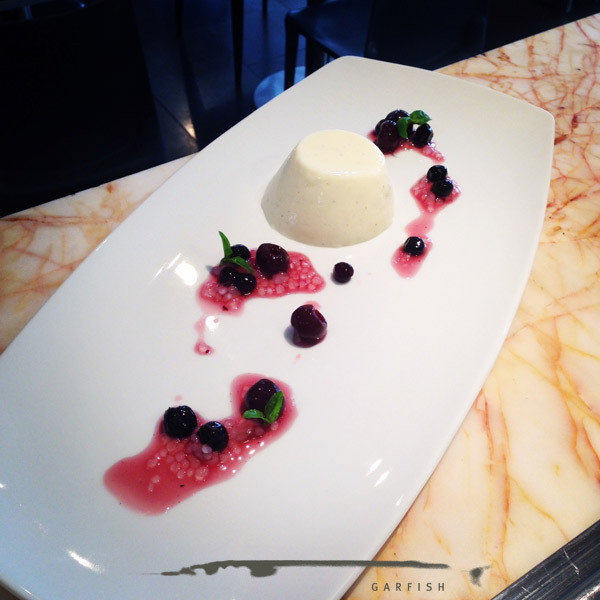 Hamish from Garfish Crows Nest also is catering for those with a sweet tooth, Vanilla & lemon buttermilk panna cotta blueberry, cherry & tapioca salad. 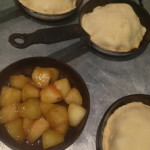 This treat is available during the week and over the long weekend at Garfish Crows Nest. 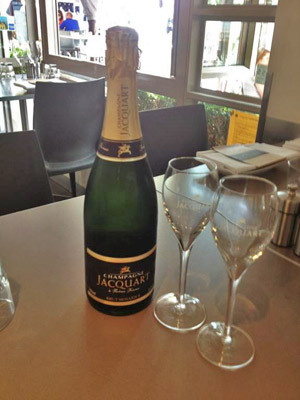 Garfish Crows Nest and Kirribilli are both featuring a French Champagne, from Reims a very established Champagne House in France. Champagne Jacquard is a very elegant, dry style champagne perfect with oysters or as an aperitif. Available both by the glass and bottle it’s well worth trying on your next visit!